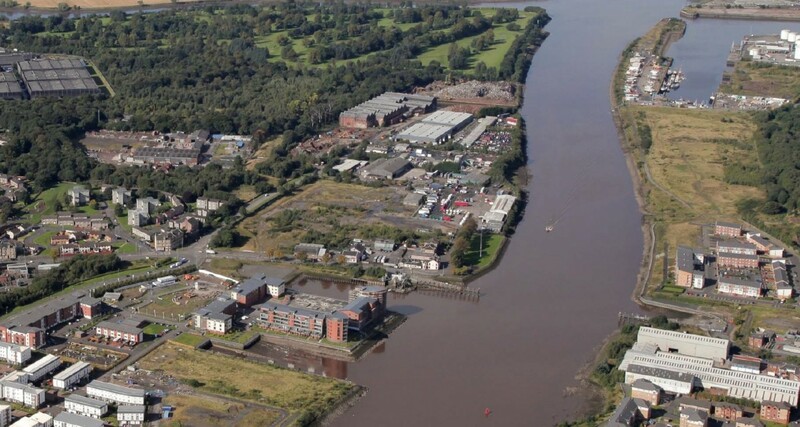 A preliminary artist’s impression of a 184m long swivelling road bridge connecting Clydebank with Renfrew Riverside has been published in a new scoping report prepared by engineering consultants Sweco. 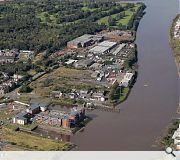 A key plank of the £1.13bn Glasgow and Clyde Valley City Deal the infrastructure link is being led by Renfrewshire Council to connect both banks of the River Clyde between Ferry Road and Inchinnan Road. Designed to minimize its footprint within the river and surrounding floodplain it is intended that the bridge will accommodate pedestrian and cycle traffic using a design which ‘fits aesthetically’ with the surrounding landscape. 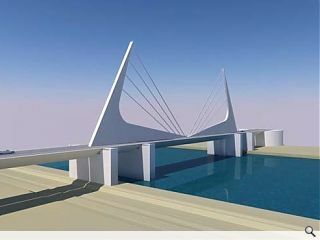 Adopting a ‘twin leaf’ design the connection would allow river traffic to flow unimpeded post-construction with a span of 90m when opened. 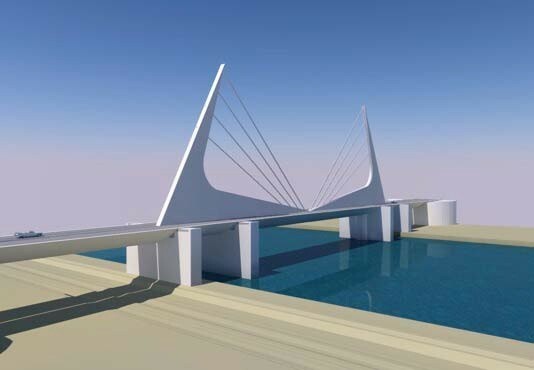 In their report Sweco said: “The bridge will span the navigation channel with a span(s) which will rotate through 90 degrees horizontally so that in its open position the opening span is parallel with the river. A back span acting as a counterweight to the opening span(s) will also be required. To facilitate the new link some 2km of new single carriageway road will be constructed to plug into the existing road network. I would guess the word "Elegance" does not feature in Sweco's design vocabulary? Hopefully planning permission will be rejected for this bridge. The traffic in Renfrew town is already a nightmare and taking this road directly on to Inchinnan Road is bonkers all that traffic corralled on to the aging Inchinnan Swing Bridge will be a disaster. Obviously a rotating bridge will cause noise and vibrations which could be detrimental to the listed Ferry Inn pub as well as the other homes nearby. Taking the road through the nearby woodland and disturbing the wildlife alone should hit this application back into the bin where it belongs. The UK has some wonderful bridge designers. This clearly isn't one of them.